On April 22nd, 2008 it was Earth Day. We had special events. First, we drank salt water and we couldn’t drink all that was in the cup. It was salty! Then, Ms. Bzdel showed us that if all of Earth’s water was 1L, then only 49mL is fresh water and only 1mL is water we can get and drink. I was surprised! 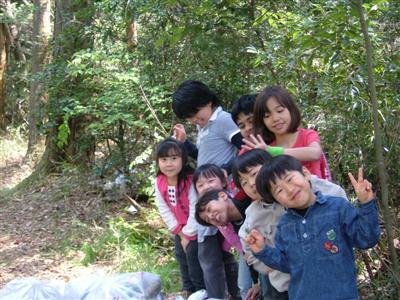 Next, in the woods near the school we saw a lot of garbage thrown away, so we cleaned it up. There was glass, lighters, bottles, and other things. 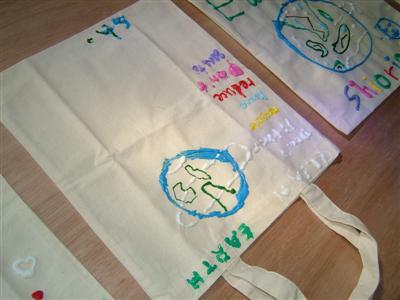 Last, we made eco-bags. When we go shopping we can use them so we don’t have to use plastic bags. 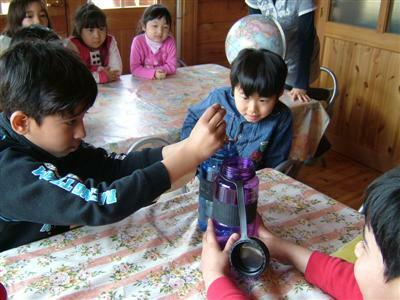 This way we can reduce carbon dioxide levels. It was a fun Earth Day.